I haven’t blogged on here for a while now so I apologise, but I’m back and raring to go. 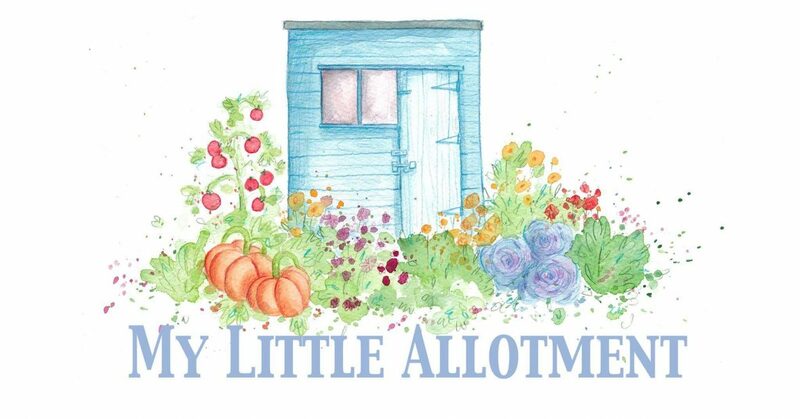 Just going to give you a little spring update just to tell you what I have been up to, how the allotment is getting on and what I’ve been up to while I have been so quiet on my blog page. Now something all of us gardeners/allotmenteers have in common is talking about the weather, to be fair I think its a bit of a British thing. Since I got my own allotment and became interested in growing my own veg, checking the weather 3-300 times a day has become part of my daily routine. Now I know we are in spring and the sun is shining, its glorious, the bird are singing and our gardens and allotments are springing to life, but can I just take a minute to talk about the beast from the east. The beast from the east, for me was pretty horrific, we did have a lot of snow and life came to a bit of a standstill in Lincolnshire. Hardly any roads were accessible, all schools and nurseries were closed and so were a lot of businesses. Now I hadn’t really ever thought about snow having a possibly bad effect on my mental health, but it did! I’ve said from my first ever blog post that my blog will be mainly about my allotment but will also be a place for me to be able to speak about my mental health openly and freely. Now don’t get me wrong to begin with the snow was SO much fun, I was like a big kid making snow angels and playing with the kids but after a couple of days I was really starting to struggle. I’m not sure what it was, maybe the fact that all routine was lost, we were stuck indoors for what felt like days on end and I couldn’t get to my allotment or into my greenhouse. whatever it was, maybe the mix of it all, just had a negative effect on me and I just wasn’t myself. Does this every happen to anyone else, surely I’m not alone with this feeling? Anyway its over now, the sun is shining, the plants are coming to life and luckily so am I. Over the past few weeks I haven’t managed to get down to the allotment as much as I wanted. With work commitments, having to take some time off for a week after a small procedure and my girls taking up most of my spare time I just haven’t been able to give my all to the allotment which has really bothered me, but I have to remember some of these things are completely out of my control and my health comes first. Its hard when your little sanctuary and the place that keeps you sane has been out of your life for days on end. luckily I’ve had my greenhouse and vegetable patch at home to keep me going. Lets get onto more positive things, i have had some productive time here and there and managed to get some small jobs done. I have been to the plot to plant my broad beans and I got jason to plant my potatoes. I did managed to get to the plot for a couple of hours with Mila my youngest daughter last week and weed the flower patch ready to plant my summer bulbs. I’ve have taken home some wonderful harvests of leeks, rhubarb, asparagus and flowers. I have now filled most of the raised beds at the allotment with compost and sowed my Swiss chard, turnips. asparagus peas, radish, beetroot, nasturtiums, calendula, cornflower seeds and planted my strawberry plants and herbs. I havebeen rather busy at home in my vegetable patch and greenhouse getting everything ready for summer. My greenhouse was in a sorry state so I have given it a huge tidy, sowed all of my seeds in my raised bed vegetable patch and planted out my tomato pants and chillis in their final pots and grow bags in my pop up greenhouse. My intended use for my raised bed vegetable patch at home this year is to grow all of my salad crops so I can freshly pick it at home when I need it while preparing food. this year I’m growing lots of different types of lettuce including some lettuce leaves, rocket and spicy salad leaves. I’m growing 14 types of tomatoes, peas, cucumbers, radish, spring onion, pak choi, spinach, cucamelons, and edible flowers. Now I’m sure that most of you are now aware from following my Instagram or other social media sights that recently I was lucky enough to have an inteveiw published in kitchen garden magazine! Now I know I’ve spoke about it quite a lot but for me this is just amazing, I’m so chuffed they did and interview with me and actually printed it in their magazine. To think I started out my little allotments journey just over a year ago and now I have something in a magazine it feels a little surreal but bloody amazing! Let me know if you have read the interview and what you think. I also was silly enough to get involved with World Naked Gardening day, i had a lot of fun and it was great seeing everyone sinvolvement online, what a crazy bunch we are. So spring is here, and just like all of my plants I’m feeling much more alive, I have energy, determination and the warmth of the sun on my skin has woke me up. I feel like I’m really ready this year to tackle my allotment and a have a really successful year. Hope you have all had a productive time on the allotment and in your gardens too. All the links to my social media accounts are below if you fancy having a look and a catch up with what I’ve been up to. Previous postCosmos- balanced universe or planting harmony? I am a member of Flintshare, a not for profit gardening group in Flintshire. Where did you get your pallet collars from for the raised beds? Hello Kirsty, you have some really good images on your posts, your vegetable patch looks to have good soil for growing things. I find getting outside and growing things is a good thing to cancel out deskwork. Keep up the good work.